China produces some of the world’s most used and most innovative digital platforms but their popularity doesn’t always spread as far as the West. TikTok is the example that bucks that trend. Known in its domestic market as Douyin, this app very quickly spread in popularity from its Chinese launch in 2016 and is now thought to have 500 million monthly active users around the world. TikTok’s essentially a karaoke app – set up to make it easy to lip-sync or dance to music clips but it’s also easy to create other content set to music. In essence, the concept is 15-second video clips with a soundtrack overlaid. Content is organised by hashtags, the next piece of content is readily served and it’s easy to follow creators. There are accounts dedicated to icing cakes, making slime, comedy, cosplay and the site has its fair share of memes and peculiar content. This gives it a feeling of being an insider’s club, with its own quirks and internal jokes. Douyin (which means ‘shaking sound’ in Chinese) has over 300 million monthly users in its home market. Outside China, the app may look the same but it’s actually a different system with different content. The app adopts a highly localised approach and content from one localised version of the app doesn’t appear in other versions, which explains why Billy Eilish tributes don’t feature much in Douyin and there’s limited Chinese pop music in TikTok. Users of the Chinese and non-Chinese versions of the app aren’t able to interact with one another without downloading another version of the app. Douyin launched outside China by acquiring existing music-based video app Musical.ly which it then rebranded as TikTok. Although the Chinese audience for Douyin remains larger than the world audience for TikTok, TikTok’s grown virally and has already become culturally influential. More women than men seem to use TikTok and research by Digiday suggests that the user base is pretty young, with at least 50% of users aged between 13 and 24. Douyin also has a young and female user base. This indicates an audience that’s more geared towards Centennials and Gen Zs than Millennials. Evidence suggests that this young audience shows a strong preference for seeing real people in their ads rather than celebrities. They tend to spend a lot of time online watching video, partly because their life stage allows for this. Approximately 70% of those born after 1995 spend 2 hours on YouTube daily and they watch twice as much video on mobile as any other demographic. They are also exceptionally tech-savvy. 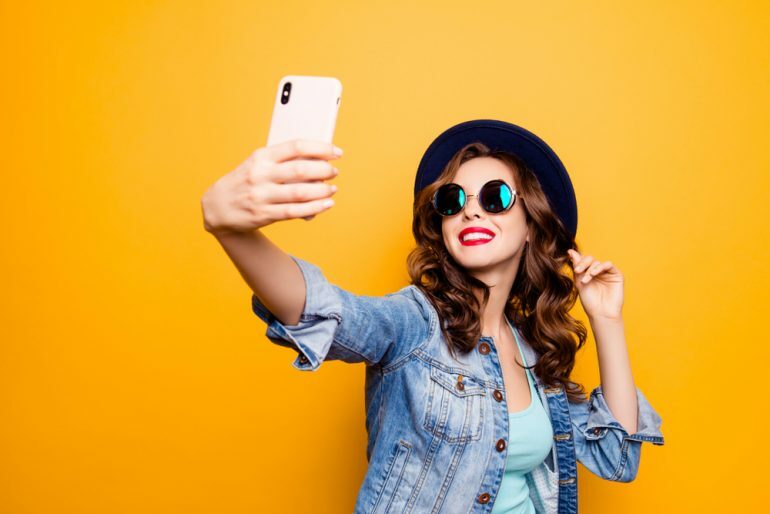 TikTok certainly has a share of audience attention, particularly among younger consumers that remain hard to pin down in other media channels. What’s frustrating about TikTok is that it’s not linked to Google or Facebook, which between themselves have carved up a big chunk of online advertising. This frustrates your tracking abilities. It’s perhaps worth seeing it as a platform for raising brand awareness and engaging with younger audiences in particular. Advertisers that have experimented with the platform include film companies aiming at promoting films for younger audiences. Universal Studios worked with influencers on the platform to promote ‘The House with a Clock in its Walls’. Over in China, luxury brand Michael Kors ran a hashtag challenge and worked with local influencers. Evidence suggests that this combined approach may have proved cost-effective for Kors, with the number of impressions received favourable to a campaign of similar cost on WeChat. Michael Kors recently collaborated with TikTok for the filming event The Walk. Cookie brand, Oreo, seemed to also have a positive experience on Douyin. Oreo ran a branded New Year campaign and a piece of user-generated content related to this went viral. The main takeaway for the brand was that Oreo still has a presence on Douyin long after the campaign ended. It’s hard to predict when content will go viral like that but it certainly had good results for Oreo in China. There are several approaches that brands can take to working with TikTok or Douyin. There’s the option to use the app to promote your brand’s visual identity by creating content for your channel on there. Brands can approach the platform to harness the app’s own in-house content creators or get content featured, which gives you an immediate audience. Brands can also sponsor hashtags, create branded content such as custom stickers – something Pizza Hut did to great effect in China. Combining this approach to get the app to promote your brand campaign using the relevant hashtags is a common approach that brands take on the platform. A cheaper approach is to partner with individual content creators directly, although this relies on organic reach. Top TikTok influencers can command up to $100k to partner with brands. You’ll sometimes hear content creators being called Musers, a hangover from the days when the app was known as Musical.ly. These video creators can get tipped by viewers using a system of microcredits. Despite the purchase of Musical.ly by TikTok, top influencers from the heyday of Musical.ly still remain. Like any social media platform, only a small number of content creators are making any kind of living off the platform. The ones that have a strong audience can also use their popularity to sell merchandising via the channel. Anyone with a real presence on TikTok will also be spread across other social media platforms, particularly YouTube and Instagram. Of course, the best approach by far is to inspire users to create their own content around your campaign but that’s really hard to do. It’s hard to win on the slightly eccentric TikTok platform but if you’re trying to engage a young audience there may be rewards for brands willing to take on the challenge.